From any page, navigate to the Configure page under the Work Orders tab. From there, click the "Create Workflow" button at the top of the page. 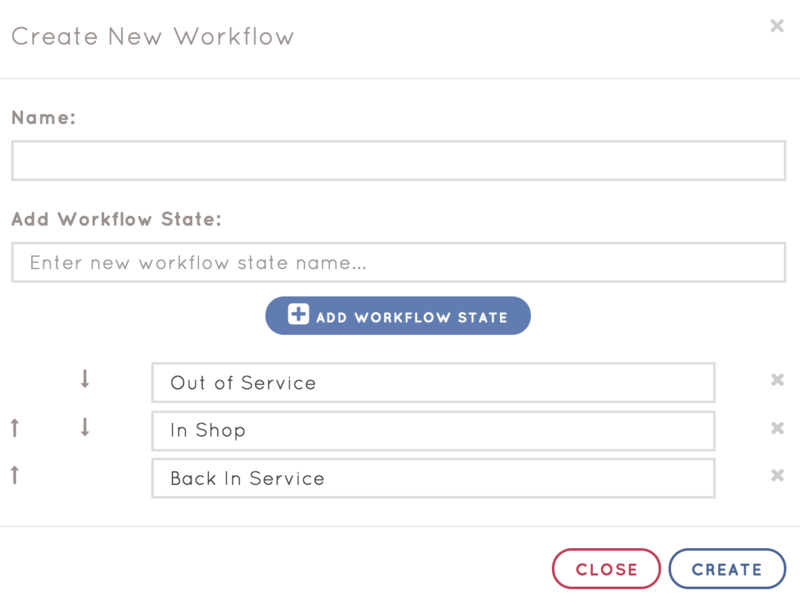 From the Create Workflow Pop-up, you can name your workflow and add workflow states. These States should describe the various steps between an item being out of service and being repaired.